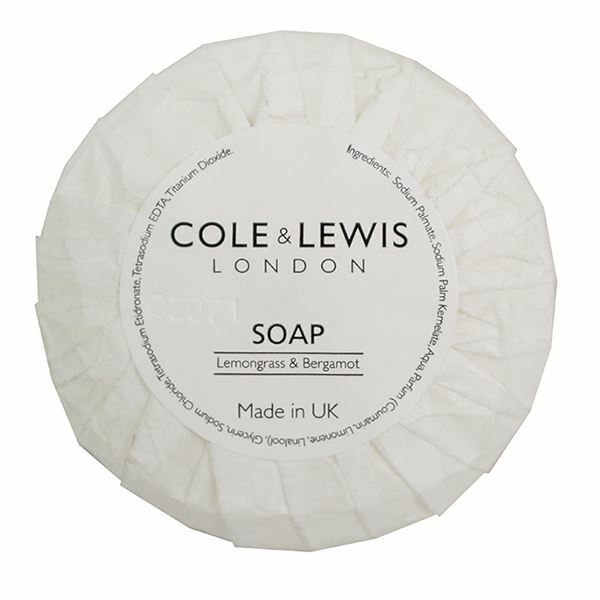 Treat your guests to a luxury Cole & Lewis soap bar made exclusively on-site in our Cumbria-based factory. The formula will leave skin soft, moisturised and beautifully scented with a mandarin, red apple and freesia fragrance, while the 100% RSPO certified palm oil ensures only the best quality, sustainable ingredients are used. The lemongrass & bergamot soap bar co-ordinates beautifully with the lemongrass and bergamot travel-size toiletry collections and comes in two sizes, 20g and 40g. Another beautifully presented product - it looks luxurious and the soap seems to last much longer than others I have tested. Very good quality. Really nice soaps. A good size and with a subtle fragrance suitable for men and women.